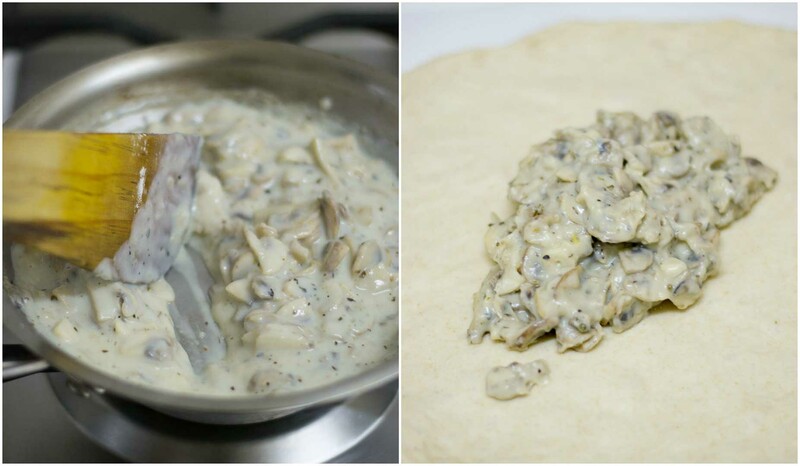 Home made Mushroom Pizza. Made with pizza dough from scratch. 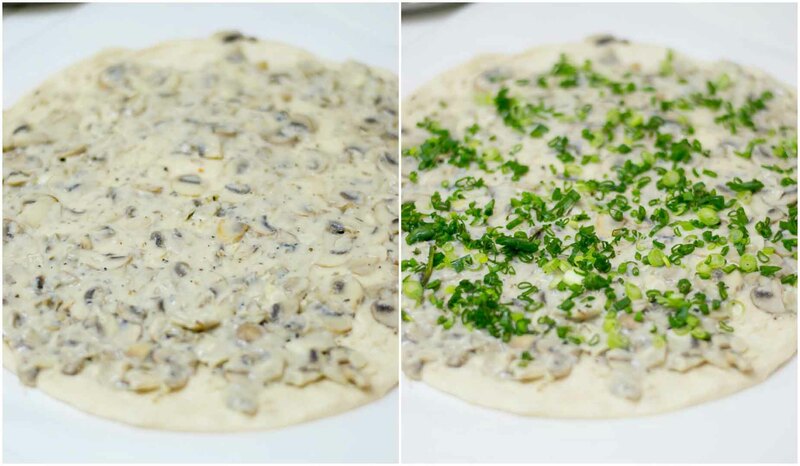 Thin crust white pizza with mushrooms. Recipe with step by step pictures. 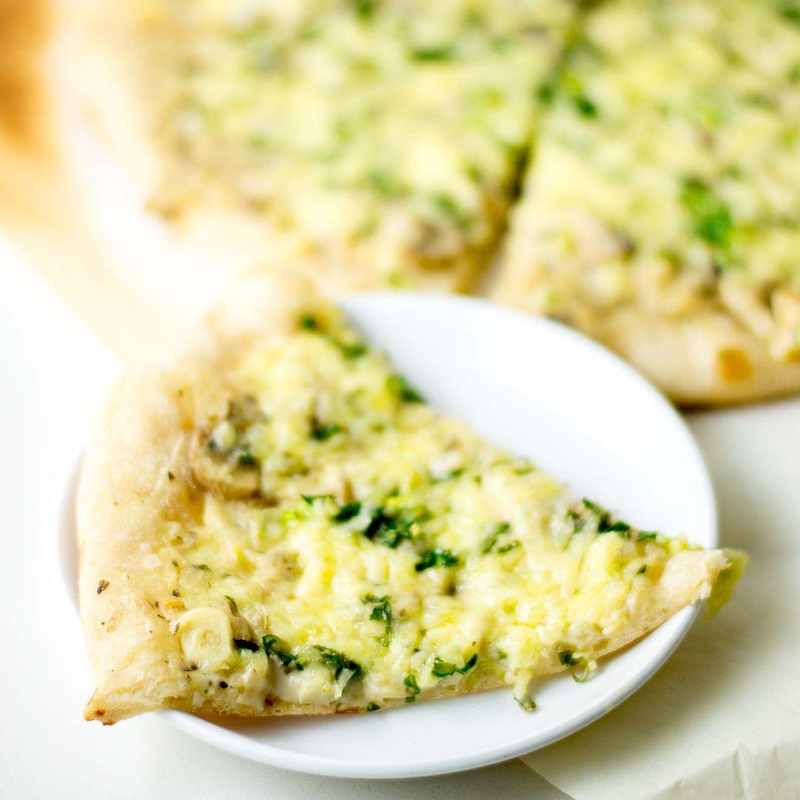 This is one of our favorite pizzas at home. Sauteed butter Mushrooms is one of my favorite toppings on pizza. I have used my regular overnite pizza dough recipe that never fails. The flavour of mushrooms in sauce is soooo good. Do try this at home. Make half a batch of the pizza dough recipe. 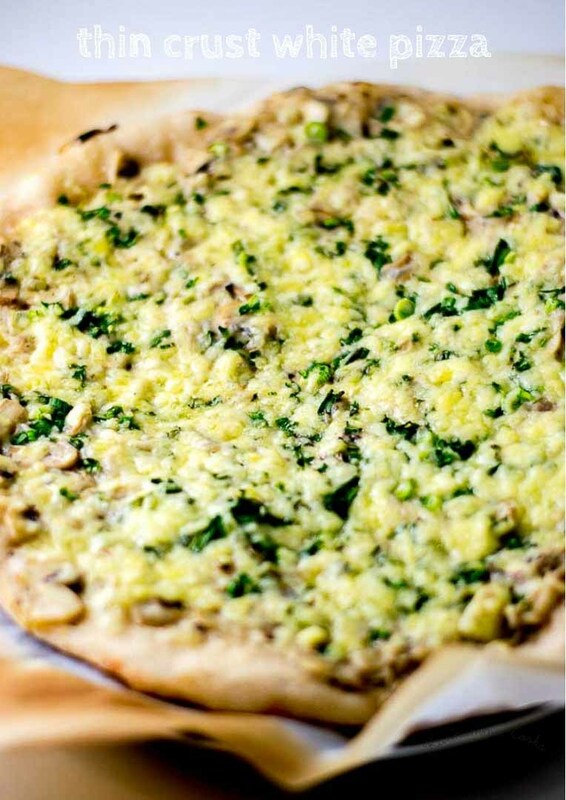 The original dough recipe makes two big pizzas. The dough can be refrigerated for upto three days. I have published the recipe here in detail. Click Here below. 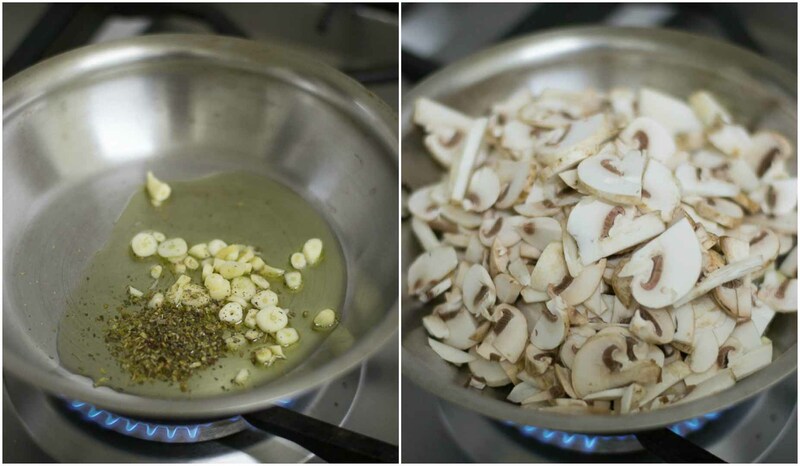 Heat butter or Olive oil in a pan and add in the chopped garlic and Italian seasoning herbs. Saute for a minute. 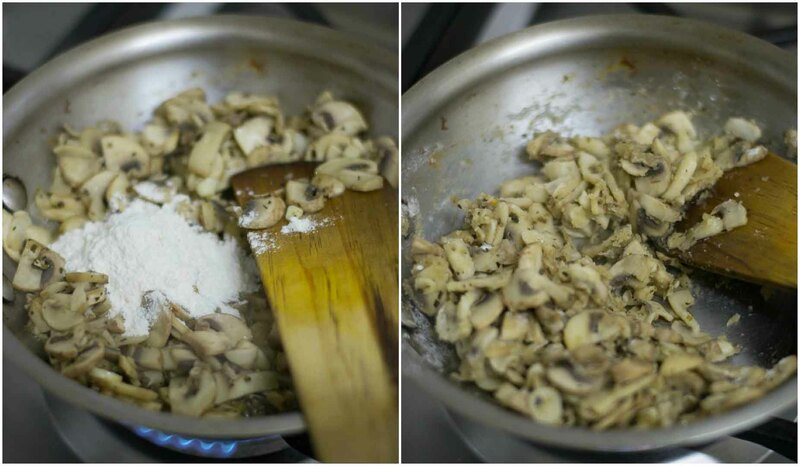 Add in the washed, cleaned and sliced mushrooms. Add in the salt. Saute the Mushrooms for five minutes till the mushrooms have cooked and is soft. The Mushrooms would have shrinked. Add in the maida (all purpose flour). Saute for a minute. 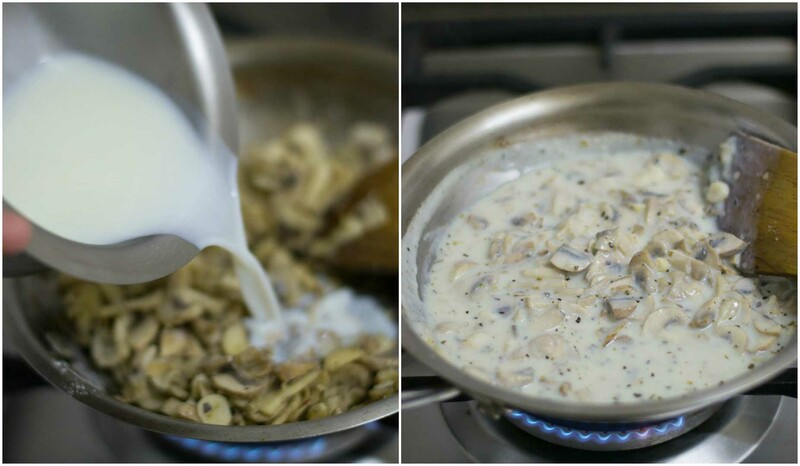 Now add in the milk and keep stirring until the sauce becomes slightly thick but still a little saucy. Spread evenly. Sprinkle chopped spring onions on top. Preheat the oven to 220 C for 20 minutes. I like to bake the pizza on a preheated pizza stone. If you do not have a pizza stone, an old iron dosa pan also will work. Else you can place the pizza dough on a baking sheet. 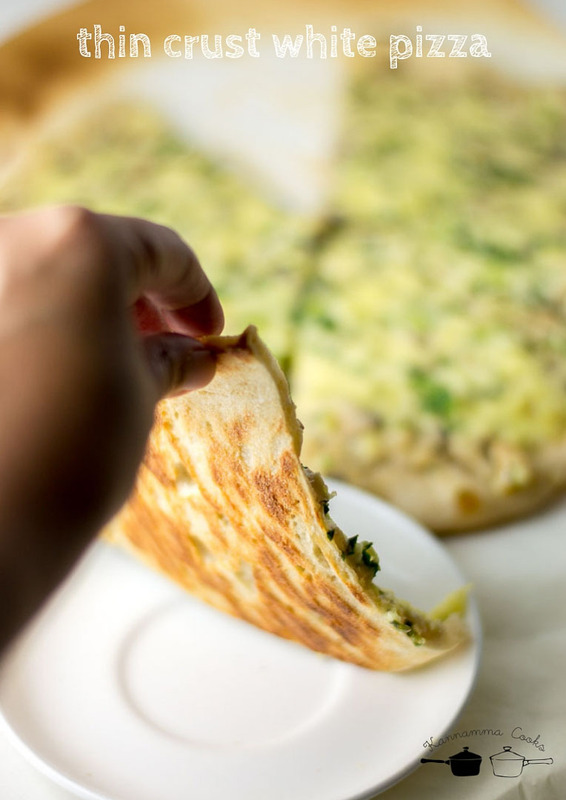 Slide the pizza on the baking stone. 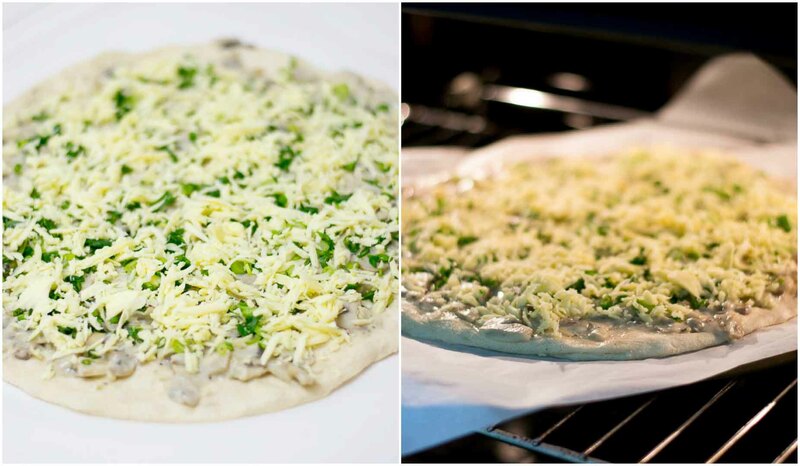 (I transfer the pizza dough onto a plate and slide it onto the stone.). Bake the pizza for 12 -15 minutes. This dough produces an amazing brown crust. Yes you can. But use something that you dont use to make regular dosa. The seasoning might wear off. Hi Suguna, I would like to know what kind of oven do you use? The brand and capacity if you can share the information.